Journalist, author and commentator Hannah Pool writes regularly in the national and international media. Hannah has written features, interviews and comment for the Guardian for over a decade. Hannah’s work also appears in The Times, Grazia, ARISE magazine and others. Hannah is also curator of talks and debates at Africa Utopia and WOW festivals at the Southbank Centre and is Chair of UKFeminista. 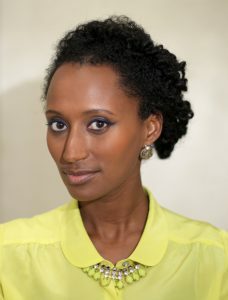 A regular contributor to BBC Radio, a speaker at TedXEuston, Africa Writes and Africa Gathering, Hannah was the subject of CNN’s African Voices, a half hour interview looking at her career to date. From Sojourner Truth to Toni Morrison, from Zora Neale Hurston to Arundhati Roy, Andrea Levy, Chimamanda Ngozi Adichie and many more, black and asian women have been lifting our hearts with stunning prose and helping us to make sense of the world through their great writing for centuries. The much needed SI Leeds Literary Prize is about highlighting, celebrating and nurturing the true and strong tradition of this literary canon.